On April 25, 2015 at the Richmond Auditorium in Richmond, California, a Bay area town near San Francisco, Federica Bianco will be making her pro debut at the age of 36 against a fighter named Laura Deanovic. They’ll be fighting on Squarevision Entertainment’s Night of Glory II, card with the top contenders in the Bay Area fighting for the new GBO belt. (And by the way, the promoters will also be donating a dollar from every ticket to the Race to Erase MS (multiple sclerosis research) charity—so if you’re in the Bay Area, you should think about supporting a worthy cause.) 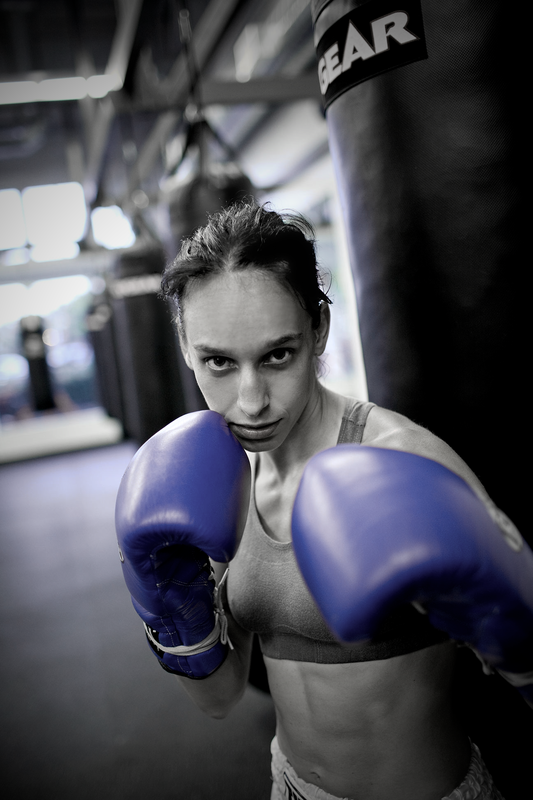 Federica came to boxing from the world of Brazilian capoeira. She got good enough to teach it, but started to get intrigued with boxing and switched over completely a few years ago. 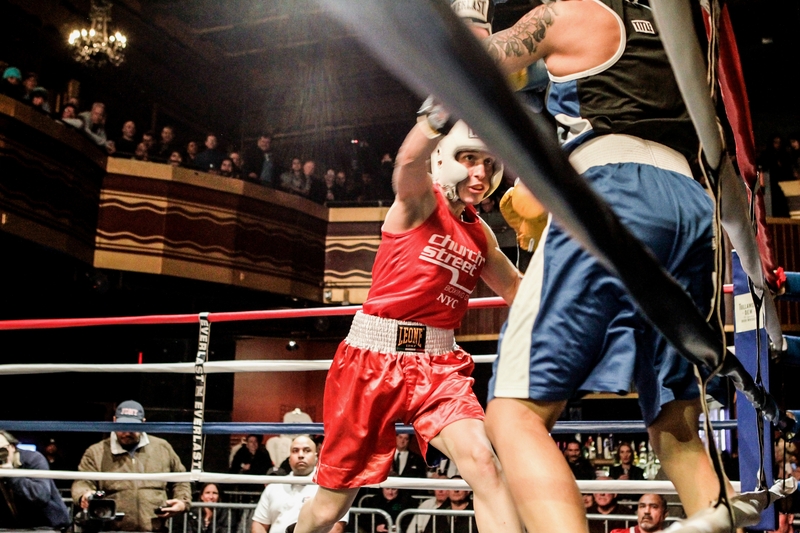 I got to know Federica in and around Gleason’s Gym, though her true boxing home is at Manhattan’s Church Street Gym. She’s been competing as an amateur with fights in and around New York City, and as far afield on Beautiful Brawlers’ cards and at Bonnie Canino’s 2014 National Golden Gloves tournament in Fort Lauderdale, Florida where I got to Federica bang, and bang hard. 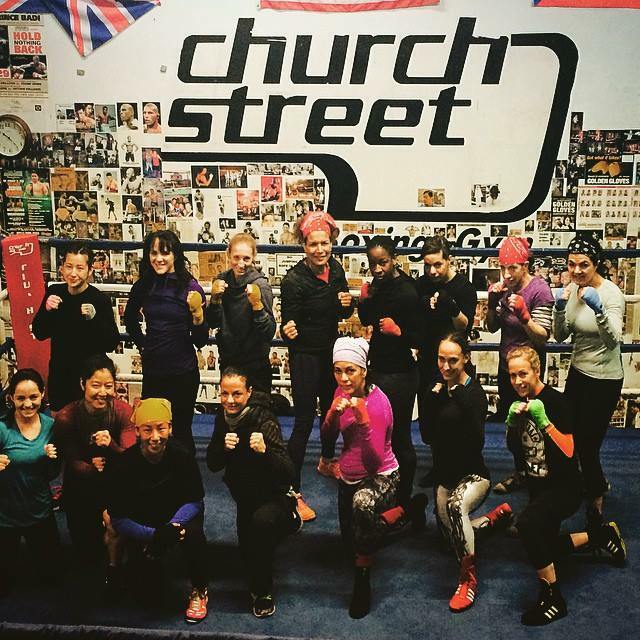 As a boxer and someone who has developed a love affair with the sport, Federica helped arrange to bring IWBHOF hall of famer and boxing champion Lucia Rijker to Church Street Gym this past February. 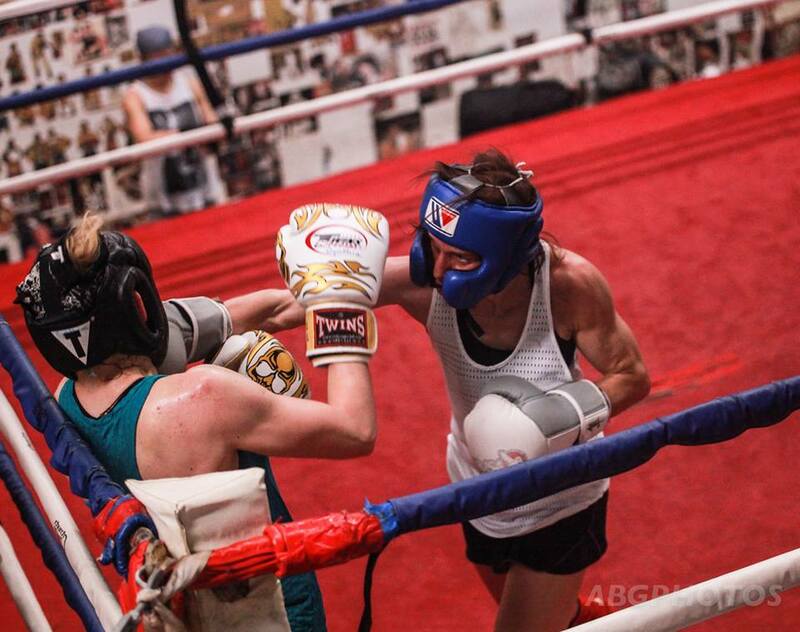 Rijker spent two days training and motivating participants in boxing and kickboxing in her unique style—prompting Federica to commit even more to the sport she loves. I had the opportunity to speak with Federica recently, and then through a series of emails, we ironed out a Q & A for Girlboxing readers. Here’s what Federica had to say. You have your first professional fight coming up at the end of the month? What can you tell Girlboxing readers about the fight? I have been cuddling with the idea of going pro for some time, and I am really excited that this is happening! We’ve been trying to find a match for about a year. It is not easy: there is no money behind women’s boxing, so its hard to get an opponent from afar, or finding a promotion company that is willing to fly a debuting fighter out, and no local matches were coming up. My opponent has more experience, and is a bit bigger than me. But I saw her boxing and I think she has a style that will suite me well. In discussions we’ve had, you’ve stated that you are “not so young.” At 36, what is prompting you to step into the ring for the first time as a pro–at an age, when on the one hand many fighters are stepping out of the ring and on the other, when it comes to female boxers, many are still finding great success. That’s right: I am no spring chicken! I am 36, and I only started competing a few years ago. But, honestly, I am in the best shape of my life. Boxing is physical, but also very mental, so I think age helps: I know how to pace myself better than I would have 10 years ago, I am a more experienced athlete, I know how my body is feeling through training camp, I know what diets work for me to make weight responsibly, and I know how to control my emotions way better. So much more is known about sports medicine, and how to train responsibly, that the peak athletic age has definitely shifted ahead. In fact about a year ago I was looking at statistics about title holders: the mean age for boxing title holders for males, as well as for the WBC women title holders, is over 31! Two years ago the age cut for the amateurs was 35, and as I was approaching it, with such few chances for women to compete in the master division, it became clear that I would either have to hang the gloves, or turn pro. I could not keep up the level of intensity in the training that I am used to without a goal in sight (and I am not one to do things half way…). So “pro or couch?” was the question buzzing in my head. And I feel physically great, and mentally ever so eager to continue training and learning, and fighting. So the couch is not really an option – yet. Even as they increased the age limit to 40 for the amateurs, the thought of going pro was in my head. I am ambitious, I want to continue challenging myself, and so it is time to bring it to the next level, and turn pro. In addition to that, there are some things that were frustrating about the amateurs. There are a lot of tournaments I cannot do, either because they have different age cuts (like the New York Daily News Golden Gloves which tops out fighters at 35) or because I am not a citizen. I am Italian, (I am a permanent resident in the USA), and finding matches outside of tournaments was getting harder and harder: with so few women, we all know and have fought each other in each weight class. Having started out in capoeira, the Brazilian martial arts form with roots that go back centuries, you’ve brought a background of a pretty tough form into the ring. What prompted the switch to boxing and what adjustments have you made between the two styles? I got to capoeira through dance and dance-theater, and then capoeira brought me to boxing – a pretty winding path. There are many different styles of capoeira, and a few years back I had to move from Boston to Santa Barbara for work, and my school of capoeira was not represented in SB. I started teaching classes, but of course that meant I was not getting the same workouts that I was used to training every day in a large and competitive group in Boston, so I picked up boxing for the conditioning (choosing boxing over other martial arts cause I did not want to try a style that would mess with my capoeira kicks). And it stole my heart. As a capoeirista, my best assets were aggression and fearlessness, and the same goes for boxing. I love capoeira; it is such a rich art, with profound cultural depth. I love the ritual, the instruments, and the sense of community. But ultimately, it is the competition, and the confrontation swayed me, and that is on another level in boxing – you are in the corner, looking at your opponent, and she is surrounded by all her own demons. Everything about boxing is clear and plain. Unlike most martial arts, the technique is simple: there are only a few punches! So the name of the game becomes perfecting them. You get in the ring, and in most cases it is clear who is getting the better of the other. Plain and simple. I love that about boxing. And every time you step into the ring, you face yourself. As for the adjustments, I remember going to my boxing coach in California and telling him my capoeira Mestre was complaining my capoeira started to look like boxing, and him saying “well, that’s weird, cause I am still waiting for your boxing to stop looking like capoeira!.” Of course they are very different forms, but it is interesting that among all martial arts and combat sports, both capoeira and boxing put a lot of emphasis on avoiding getting hit, rather than blocking, so they are end up being more ‘fluid’ so to speak, than other martial arts. Coming from a different athletic background in general helps at the beginning, then gets in your way for a while, and only later you start being able to integrate your diverse background in your new style. You’ve been a trainer and with your boxing have switched more and more into a role as a fighter? What has this given you in terms of your understanding of the sport, and more importantly, your feelings as you commit yourself to competing on the professional level? I love teaching and training, but I love being a student best. For me it is really all about improving and learning, that is what I like to do: I am a student for life! 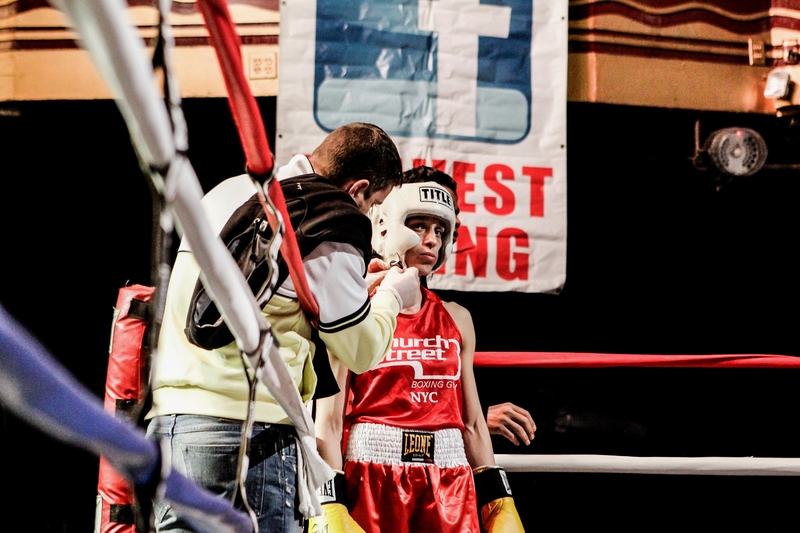 Of course though, looking through a coach’s eyes helps tremendously as a fighter! I enjoy every opportunity I have to coach and corner fighters, it sharpens my eye and my brain, so that I can become a smarter, and more tactical fighter! The feelings of a fighter though are always hard to deal with, and I am not sure that seeing them from the other side helps at all. Being conscious of the process does not always make it easier: as a fighter you really just want to rely on your coach for emotional guidance, and a good coach will know how to work your energy to keep emotions in control. And then again, as hard as fighting is emotionally, it is that fear, that uneasy sensation, and the fact that it dissolves as the bell rings, that draws us to fighting. You had the chance to work with Lucia Rijker having helped set up her training seminars this past February at Church Street Gym in New York City. Please share your experiences and how it has affected your boxing as you look towards your first pro fight? Meeting and working with Lucia has been one of the best things that boxing brought into my life! I met her in California for a few training sessions when I still lived there: a present from my husband. Of course I knew her from her fame – my first coach handed me Shadow Boxers [the 1999 film by Katya Bankowsky] the moment I expressed interest in competing – and my expectations were oh so high in meeting her. Well, she fulfilled and exceeded them all. Her coaching is great, but better than her boxing coaching is her vision of the sport, and of a fighter’s experience. She obviously witnessed her own journey in a very conscious way, and has such terrific heritage to share. That is why I really wanted to bring her to NYC and share her with my teammates! She taps into the kinesiological and the spiritual aspects alike. And again, boxing is mental, at least as much as it is physical. Each time I worked with her I was reinvigorated, empowered, and more focused and centered than before. I consider her a friend and her positive energy and encouragement (her motto “be your best self”) mean so much to me! As with many female boxers you also have a entire life outside of the ring? What are your other passions and how do you integrate them with your training and the competitions you participate in? Well in my “other life” I am a scientist – an astrophysicist. I am a postdoctoral fellow at NYU [New York University], and mostly I study exploding stars. It’s a lot of fun: I get paid to do research, which in a way means I get paid to play around and solve puzzles to improve our understanding of the Universe! Of course it is a demanding job, so juggling that with boxing is not easy – I don’t get a lot of hours of sleep, but if you really want to do something you will find the time and way to do it. Luckily my job affords me a flexible schedule and the possibility to travel, as I need to for boxing. It is interesting that both my careers are in male dominated, very competitive fields. I guess I like the challenge. Having watched you fight last year at the National Golden Gloves, I know how tough you are in the ring and have a good chin. What is your fighting style and what do you expect of your performance in your pro bout? I do have a good chin and I am a stalker in the ring. I like working inside in phone-booth, toe-to-toe fights. I am excited to fight with smaller gloves, and no headgear: together with a good chin I have good power, and the pro style suites me better than the Olympic style of touch-and-go. For readers who may not yet have sparred or fought competitively, what advise can you offer as they embark upon their journeys into boxing? Keep an open mind, and if you are eager to improve yourself, there is no better environment! I have seen many people stepping into the gym thinking they will be professional fighters, and just hating it in the ring – either hating getting hit, or hating hitting the opponent. And I have seen people that were reluctant to exchange leather, only to find out they loved it and could no longer live without it! Sparring and fighting are truly nothing like one would guess not having done it. There is no rage, it is not emotional – at least for me, it is very rational in the fight, I find myself as lucid and focused as I ever am. Once your down with boxing professionally — say ten years from now 🙂 — what’s next for you in the sport? Thanks, Niamh! I’m hoping all is well.